I don’t know about where you live, but my official sunset time is already before 4PM and it is going to be that way for a long time. I also live in a very rural location so when the sun sets, it gets DARK. That means I put a lot of miles on flashlights, work lights, and especially head lamps. I’ve come to realize that the beam profile I need while working is different the beam profile I need when I am on the trail. When it come to work, I need a beam that is broad and bright – basically a wall of light that covers everything with light at arms length from one edge of my vision to the other. That is exactly what the Streamlight Bandit provides… and it does it with style and a great price. The Bandit might be the ultimate pocketable work light. It is compact enough to fit in The EDC Tool Roll and light weight enough in weight to wear for hours (1.3 ounces!). It has a polycarbonate body with a removeable bracket that serves as both an attachment point for the head strap and a clip for attaching the Bandit to the brim of a cap, lip of a pocket, some helmets or even just free standing on the ground or other surface. 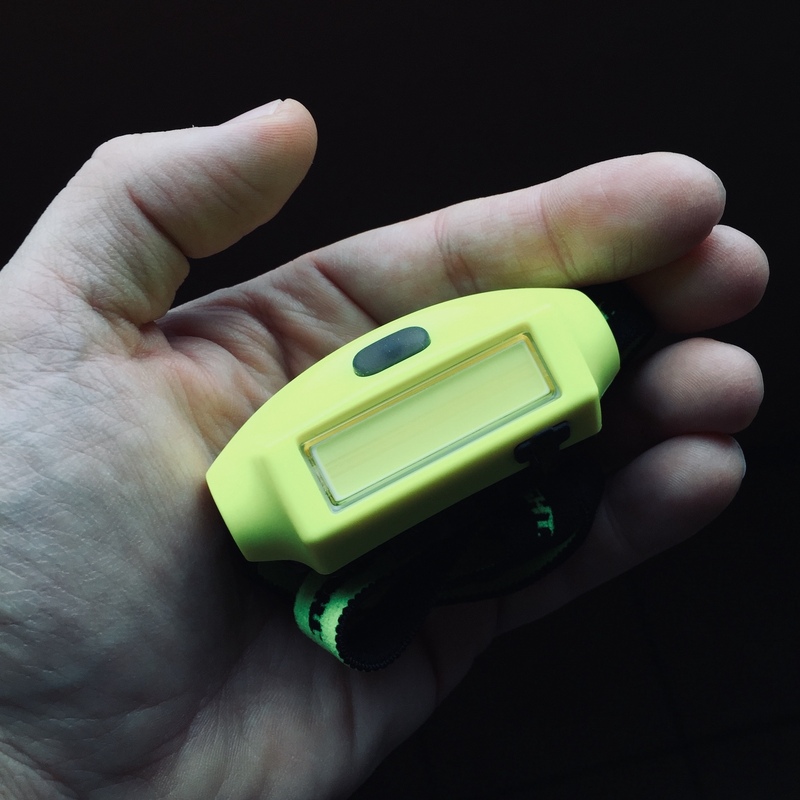 It is USB rechargable which is incredible for someone who uses their headlamp as much as I do. This light contains sealed 450-mAh lithium polymer battery that provides 2 hours of runtime at 180 lumens or 9+ hours at 35 lumens. There is also a blinking mode which I never use. The user interface is simple enough. There is one button. Push it once for low and again within a couple of seconds for high, then blink. After a few seconds, the next click turns off the light. The button is pronounced enough that it can be operated with gloves on. There are a few factors that make this the best tool light I have right now and the reason it is being included in The EDC Tool Roll series. I have already mentioned that it is very light weight and very compact. That makes it easy to carry. The simple interface makes it easy to use and the USB rechargable feature makes it easy to keep up and running. It also happens to be EXTREMELY affordable – like buy two of them, impulse buy affordable – at less than $16 each including shipping. But, when it comes to use as a work light, the real story here is the beam… the glorious blast radius of lumens. The Bandit uses a COB LED which is basically a broad, flat, light emitting plate. There is no lens or reflector. You have no hotspot, just smooth even light for almost 180 degrees. This means I can see every little button, knob, and gauge in the open, unlit cabin of our tractors when I am blowing snow after dark (which really tests the water and cold resistance of a light). It means I can light up an entire room or everything at my feet while walking instead of just a narrow circle. It means I work up close on equipment with the light on high without having a blinding hotspot and without having to constantly adjust the angle of the light. Of course, that broad beam comes at the cost of throw, but you can’t have it all. So far the Bandit seems to be quite tough and, based on past experience, I am confident that Streamlight will take care of me if something goes wrong. Given their customer service and the low cost of this light, I’m not afraid to use it like a tool. In fact, the low cost has me thinking of buying a second one so I always have one to use while the other is charging. Do you have a pocketable work light that you prefer or another tool recommendation that fits The EDC Tool Roll? Tell us about it in the comments below or drop us a line on the Contact page.